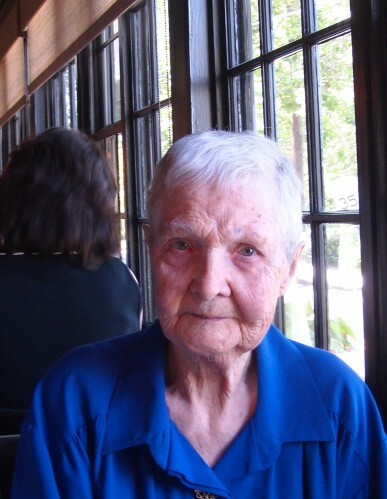 Margaret Shirley Ether, a resident of the Birdwood Farms section of Northeast Philadelphia for 65 years, died Saturday, August 18, 2018. She was 93. Born in Philadelphia, Margaret was the daughter of the late Joseph C. and Mary R. (McWiggin) Ball. She was raised in the Kensington section of the city and worked as a telephone operator at a retail sales store. Margaret married George Irvin Ether on April 24, 1948 and they lived in Kensington until they moved to their current home in 1953. Margaret was an avid Flyers fan and a proud owner of an Eric Desjardins jersey. Margaret is survived by her loving husband George; her children: Gail Ruth Deppen and her husband Christopher, George I. Ether, Jr. and his wife Grace, and Glenn Andrew Ether and his wife Robin; and her grandchildren: Andrew, Dustin, Danielle, Amanda, Andrew and Lindsey. Relatives and friends are invited to her viewing on Tuesday at 9:30 AM at Lehigh Baptist Church. Services will begin at 11 AM. Burial will follow at Washington Crossing National Cemetery, Newtown, PA.